As with Premier League team play, Premier League NSL team signups will be open to all players (see specific commitment level requirements below). However, for the Premier League NSL team, players will be placed using feedback from the New England Revolution Coaches. If there is no data available from the Revs coaches WUSC will draw from any available data points - teams will based on ability. Both Premier League and Premier League NSL teams will be coached by New England Revolution coaches. As has been a hallmark of Premier League, your child will have a consistent coach throughout the season, with weekly written coach updates on each session. Each 1 hour Premier League session will include an intensive 30 minute skill work, followed by 30 minutes Premier League intra-league competitive games. Skill work progression is reinforced through the use of Skill Cards to track each child’s progression as a player. Gameplay: Sundays, Home - Elm Bank/Sprague; Away - Within 1 hour travel est. NSL Registration deadline: 5th of December 2017. After the December 5th deadline has passed, team placements will be made and later communicated. In addition to the Premier League play during the week, players will have to option to sign-up for a Premier League NSL team. The NSL teams will play on Sundays in the highly competitive NSL league. This team is being offered to players in addition to, NOT instead of, their Premier League teams and town teams. As stated above, teams will be ability-based, and players will be placed on teams based on, skill level and feedback from the Revs coaches. The number of teams will be dependant on number of sign ups. IMPORTANT TO NOTE: In order to be eligible to play on Premier League NSL team, all players must commit to participate fully in the 2 days of the Premier League program every week, as well as their town practice and game, and the Premier League NSL Sunday game. 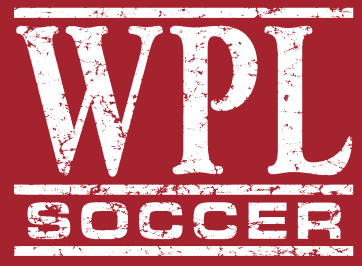 If your son or daughter cannot make a consistent commitment to Premier League program and Wellesley Town Soccer this fall due to other conflicts or activities, then signing up for the Premier League NSL teams would not be an appropriate option for your player.